The LIFEPAK® 15 monitor/defibrillator is the new standard in emergency care for ALS teams who want the most clinically innovative, operationally innovative and LIFEPAK® TOUGH device available today. The 15 integrates Masimo Rainbow SET technology that monitors SpO2, Carbon Monoxide and MetHaemoglobin, includes a metronome to guide CPR compressions and ventilations and provides an option to escalate energy to 360J. An entirely new platform, the 15 is powered by Lithium-ion battery technology, incorporates the SunVue display screen for viewing in bright sunlight, and data connectivity to easily and securely collect and send patient information. Similar form factor and user interface with the LIFEPAK® 12 defibrillator/monitor will ease transition and training costs. New monitoring parameters – Detect hard-to-diagnose conditions and improve patient care with Masimo Rainbow Technology(r). The Lifepak® 15 is the first monitor integrating noninvasive monitoring for carbon monoxide, SpO2 and MetHaemoglobin (to detect chemical exposures and certain drugs). Most potent escalating energy available – ADAPTIV biphasic technology provides the option to escalate to 360J for best results. Recent studies have shown that refibrillation is common among VF cardiac arrest patients and that defibrillation of recurring episodes of VF is increasingly difficult. Another recent randomized controlled clinical trial shows the rate of VF termination was higher with an escalating higher energy regimen of 200J and over. The 15 gives you the option to escalate your energy dosing up to 360J for difficult-to-defibrillate patients. Upgradeable platform – The Lifepak® 15 is flexible to adapt to evolving protocols and new guidelines and upgradeable when you are ready to delivery new therapies. 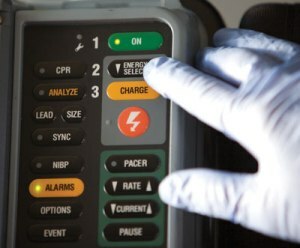 Data connectivity – As you treat patients, collect monitoring data in your Lifepak® monitor/defibrillator. Then easily connect to ePCR and other systems so information flows to where it is needed. Bluetooth has been simplified so you just touch a button to transmit data. Works when dropped, kicked, soaked, dirty – The Lifepak® 15 monitor/defibrillator passes 30-inch drop tests – equal to falling off a cot or dropping it in transit. IP44 rating means it keeps working in steady wind, rain and other harsh environments. 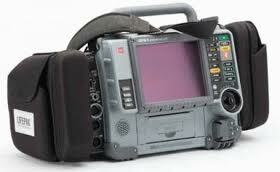 The Lifepak® 15 is the new standard in emergency care.